Through a number of its industrial brands, notably CASE Construction Equipment, New Holland Agriculture and Iveco, CNH Industrial is part of an innovative partnership with The Goodwood Estate with sustainability the key objective. Mention Goodwood to anyone and the immediate thought is horse racing and motor racing as its high profile annual events attract huge attendance. But surrounding these activities is a vibrant 12,000 acre estate. CNH Industrial’s alliance with Goodwood promotes shared values between the two parties such as constantly striving for improvements in discovering and exploring new ways to boost sustainability, plus increasing efficiency and boasting productivity without compromising the reputation that is so important to either side. Other elements of the business at Goodwood include aviation, golf (two courses) and country sports as well as hospitality through its hotel and corporate facilities. That requires a lot of diverse machinery. Due to the broad range of CNH brands operating throughout the world (twelve in all), no other single company could supply all of the Goodwood Estate’s varied and multi-faceted vehicle requirements. 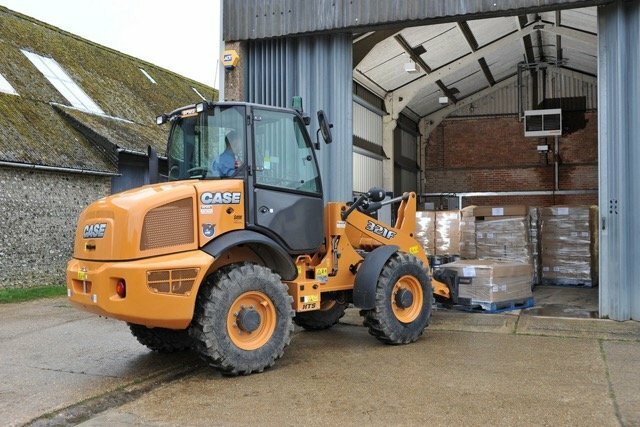 So for instance, to help maintain the Estate and its miles of road, walls and fences, CASE provides a selection of its wheel loaders, mini-excavators, skid-steer loaders and backhoe loaders. Out on the fields New Holland tractors, combine harvesters, forage equipment and materials handling machinery are hard at work, while a fleet of Iveco Daily vans move the produce around the Estate and beyond together with Daily minibuses to transfer guests to and from the various on-site activities. Looking to the future and working towards finding yet more solutions to the sustainability challenges ahead, CNH Industrial is committed to constantly innovating. It recently introduced two new concept machines. The Case IH Autonomous Concept Tractor is the world’s first fully driverless tractor and planter combination and can be controlled and completely managed remotely. 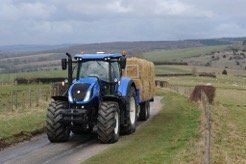 Then there is the New Holland Agriculture methane powered concept tractor which is a practical demonstration of how waste products from the farm and the agrifood industry in general can be transformed into a renewable clean energy. It is key to enabling an energy independent farm, one in which farmers are able to provide for all of their own energy requirements. Although sustainability is just one word, it covers every aspect relating to environmental protection and this is where CNH Industrial and Goodwood’s partnership comes to the fore. CNH Industrial’s brand culture is based on traditions of ongoing development of alternative fuel vehicles, precision agriculture programmes and a constant effort to support energy saving, self-sufficient farming. Goodwood’s own culture holds sustainability as a major part of its core values. Its Home Farm achieved full official organic status in 2004 even though the Estate initially started adopting organic principles back in the 1950s. Together with its organic status, Goodwood has established a ‘closed loop’ system in that it grows all the fodder needed for the animals on the farm. 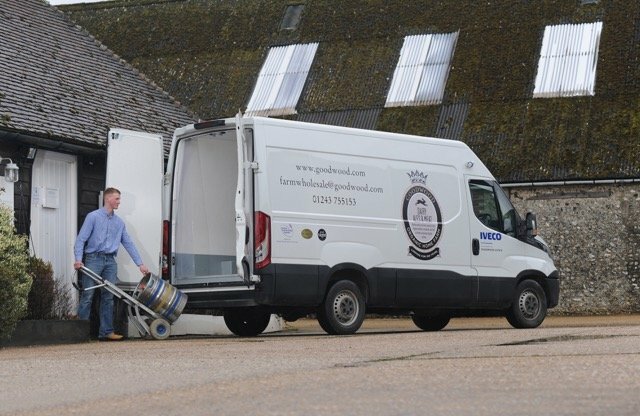 On site, it operates its own butchery and milk bottling plants and the vast majority of the Farm’s produce is served in the Estate’s own restaurants and at the motorsport racing and other sporting activities. Two types of lagers and ale are brewed here too. Home Farm at Goodwood is home to one of Britain’s first 100% organically fed dairy herd and its 3,500 acres makes it one of the largest lowland organic farms in Europe. The dairy herd enjoy a forage based system grazing from March to October and a winter diet of grass, red clover, whole crop and a blended concentrated including home grown cereals. In fact 92% of the milk produced at Goodwood is either bottled or made into cheese. Planned farm management sees calving schedules timed for spring, as is the lambing season, while the pigs remain outside all year round. Over 1,000 acres are dedicated to rotational grassland and arable crops. Commenting on the successful partnership, the Duke of Richmond, Charles Gordon-Lennox said, “CNH Industrial is an important partner in the ongoing development of the Goodwood Estate. Our values of high quality, authenticity, sustainability and protection of the environment are mirrored by the values of CNH Industrial. It is this that makes our partnership such a powerful force for progress and improvement in the coming years.” The Duke’s family has lived at Goodwood for over 300 years and the Estate is in good hands for the decades ahead.